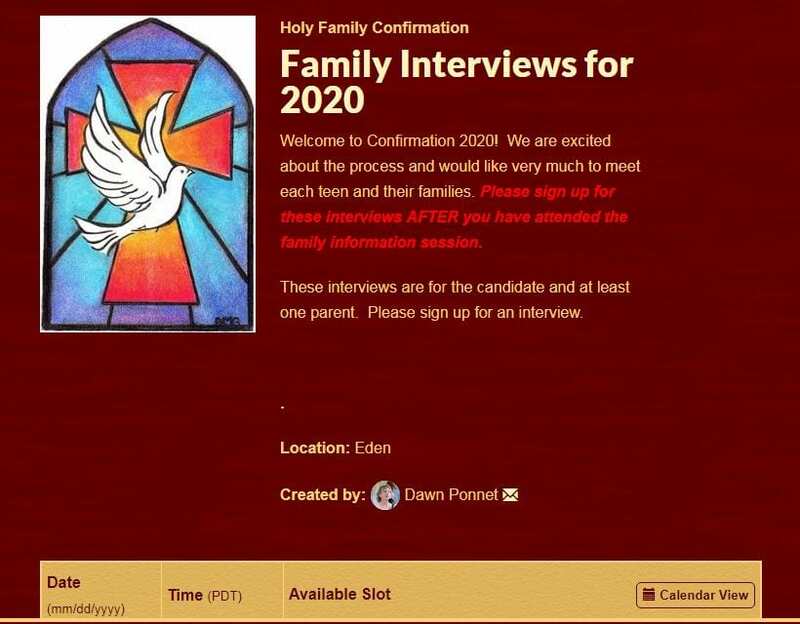 We would like to interview each family of Candidates receiving the Sacrament of Confirmation in 2020 and the new families entering the process for Confirmation 2020. We employ Sign-Up Genius to facilitate sign-ups for the interviews. Click here to set up an interview. Be sure that your interview time follows attendance at the Family Information Session.